"It is so helpful and awesome to be taught by such wonderful, amazing people about the Lord and our faith!" "My children have been participating in Totus Tuus for 5 years, both here in the Superior diocese and in the Cheyenne diocese where we used to live. The program has my full support because it has the right focus. Grades 1-6 have daily Mass. The teen program has Adoration of the Blessed Sacrament one night. All Totus Tuus participants have the opportunity to go to Confession. Beyond that, the children are exposed to authentic Catholic teaching, including the lives of the saints, the 10 Commandments, the Rosary, etc. All of this is taught by mature, joyful college students who are living their faith. And these excellent role models know how the make the week fun! 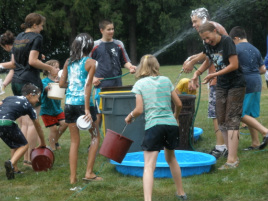 If parents want to keep their kids Catholic, don't send them to Protestant Vacation Bible Schools; send them to Totus Tuus!" "Totus Tuus is a great opportunity to gain a stronger relationship with God, along with having more faith in Him. The week was truly inspiring and one of the best I've had in my life. And on top of all of the great program details, the team was amazing! I would recommend this to anyone. It is a very worthwhile experience and the memories will be with me forever." "If you like having fun, you should go to Totus Tuus. I liked the games, learning about Jesus, and the Banana Song." "The young adults do a fantastic job drawing the teens in and meeting them where they are at. 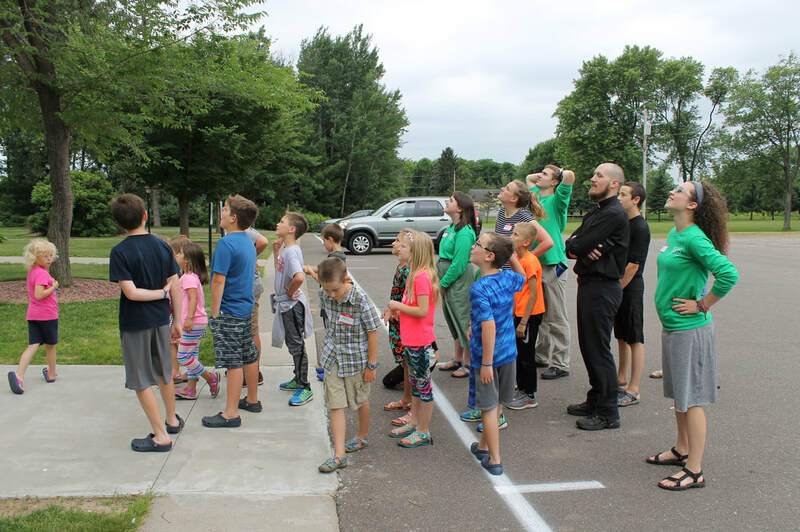 Totus Tuus is a devout, fully Catholic program that's full of life and fun!" "I liked altar serving, going to Mass, and learning about the Rosary." "I didn’t even have to encourage them to attend, they just came on their own. The two seminarians and two college aged young ladies were inspiring speakers, honest, exciting, & fun. They were also great examples of personal holiness and prayer and reflected their love for Christ and the Church in all they said and did." "The children that came for the day program experienced a great mixture of fun action songs, excellent solid, Catholic teaching & daily Mass with the children...We give Totus Tuus a five star rating. Excellent!!! Also, our pastor said, “When are we scheduling the team for next year?”"